Toshio Shibata (NATO nel 1949) è un fotografo giapponese conosciuto per le sue fotografie in grande formato di di lavoro di ingegneria civile di larga Scala in paesaggi disabitati. Shibata è NATO a Tokyo. Si è laureato alla Tokyo University of the Arts nel 1972 e ha frequentatoMaster in Fine Arts nel 1974 in cui si è prevalentemente concentrato sulla pittura. Ha poi ricevuto una borsa di Studio dal Ministero dell’Istruzione belga per proseguire gli studi alla Royal Academy di Gand in Belgio dal 1975 al 1977, periodo in cui ha iniziato ad approfondire la fotografia. 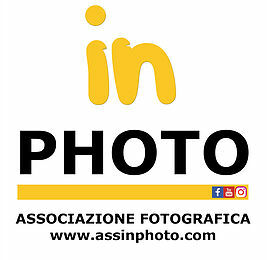 La sua prima mostra personale di fotografie risale al 1979 e da allora ne ha tenute diverse. Dal 1987 ha insegnato anche fotografia a Tokyo. Toshio Shibata (born 1949) is a Japanese photographer known for his large-format photographs of large-scale works of civil engineering in unpopulated landscapes. Shibata was born in Tokyo. He graduated from Tokyo University of the Arts with a B.A. in 1972 and an M.F.A. in 1974 in which he concentrated primarily on painting. Shibata received a fellowship from the Belgian Ministry of Education to study at the Royal Academy of Ghent in Belgium from 1975 to 1977 and begin his study of photography during this period. He held his first solo exhibition of photography in 1979 and has exhibited prolifically since; from 1987 he has also taught photography in Tokyo. 1992 The 17th Kimura Ihei Award, Asahi Shimbun Publishing Co.
Nihon tenkei / Photographs by Toshio Shibata. Tokyo: Asahi Shinbunsha, 1992. With Yoshio Nakamura . Tera: Sōkei suru daichi: Shashinshū / Terra. Tokyo: Toshi Shuppan, 1994. Landscape. Tucson, Ariz.: Nazraeli, 1996. Toshio Shibata: October 11, 1997 through January 4, 1998. Chicago: Museum of Contemporary Art, 1997. Shibata Toshio Visions of Japan. Kyoto: Korinsha, 1998. Type 55. Tucson, Ariz.: Nazraeli, 2004. Landscape 2. Portland, Ore.: Nazraeli, 2008. Color photographs. Randosukēpu: Shibata Toshio . Tokyo: Ryokō Yomiuri Shuppansha, 2008.Black and white and color photographs.